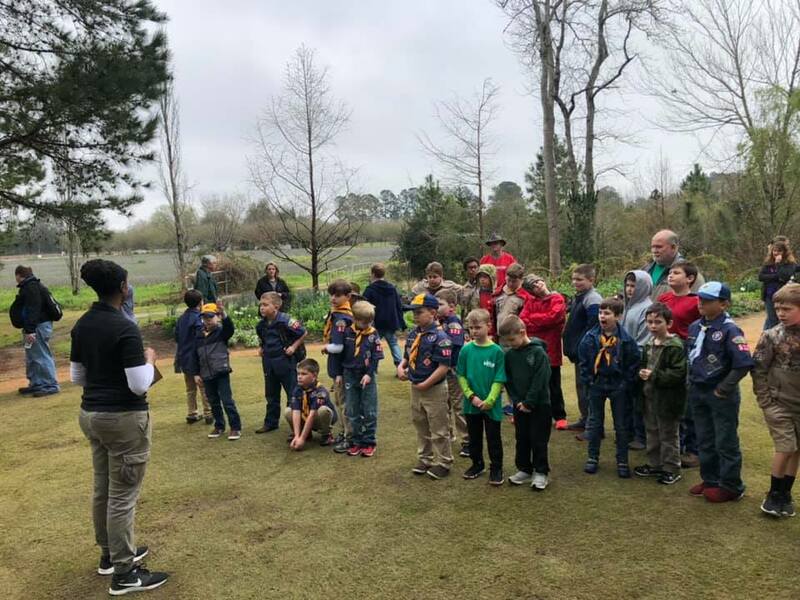 Moore Farms Botanical Garden hosted Cub Scouts Hartsville SC – Pack 523 this month in what MFBG hopes is the start of an enriching relationship with Scout troops in the area. 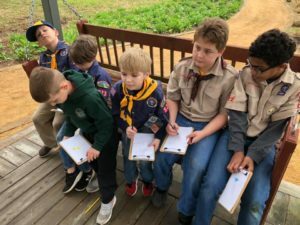 Pack 523 reached out to MFBG in January about programming opportunities, and Educator Nina Franklin jumped at the chance to create a program in line with Pack 523’s education requirements. “We are a unique education resource for all youth in the region. Scout requirements tend to be outdoor-based and we can certainly accommodate that here,” Franklin said. Franklin’s program included a hike focused on sensory exploration; the region’s hardiness zone (the standards by which gardeners and growers can determine which plants are most likely to thrive); and native species (plants, fish, birds). Each Pack 523 Cub Scout also took home a bean plant to nurture. The program was offered at no cost and lasted approximately 2 hours. 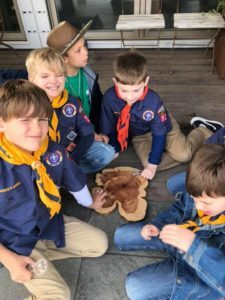 Local Scouts BSA groups are welcome to email Nina Franklin at nfranklin@moorefarmsbg.org to learn what MFBG can offer. Also, MFBG is planning a Girl Scouts in the US day in the Garden in the fall. More information will be announced as it becomes available.